Starting to work on dynasty stash prospects for 2019? We scout, tape and analyze statistical performance trends every day of the fantasy week for clients, and have for nearly a decade. Sample our work with a fresh, free view article every Tuesday delivered to your email! All subscriptions include ongoing updates to current and future articles for the entire season. Last chance to subscribe >> With half the season gone, we're taking HALF-OFF the subscription price! Dynasty valuation/ranking of players (by spreadsheets you can sort, search, download and customize, etc. ), with the projections moving/updating on all the news all offseason (free agency, injury, trade, NFL Draft). Trying to establish the best way to Dynasty value/draft for the longer term. Various special reports on the most undervalued dynasty assets to acquire, the most overvalued to sell-off, what the current NFL Draft class/Rookie Draft picks are truly worth (to keep or sell off), etc. ‍Best Ball rankings for current year moving with the news all offseason (free agency, injury, trade, NFL Draft). ‍Best Ball draft reports, discussions, strategies, mock draft theory, etc. (which may include use of our video outlet to instruct and debate). Content begins after the Super Bowl/mid-Feb.
COLLEGE FOOTBALL METRICS OFFERS UNIQUE NFL DRAFT PLAYER SCOUTING, RESEARCH AND ANALYSIS. MONEYBALL APPROACH TO STATISTICALLY ANALYZING, GRADING, AND PROJECTING COLLEGE PROSPECTS FOR NFL LEVEL. We will produce 100+ individual prospect statistically-based scouting reports filed (800-1,200+ words per) this season. We will also grade and rank approx. 600+ players statistically at all positions. All of our scouting reports from 2012 through 2018 will be archived, and will be accessible within the current years' subscription. We plan to have our live, streaming, instant-reaction, written commentary during the three days of the NFL Draft again this year. We will provide player rankings and commentary post-draft for Dynasty League/Fantasy Football General Managers. We will update the Fantasy Football rankings and commentary from May 2019 to opening kickoff. 100+ full prospect scouting reports across all positions! 1/22 thru 1/26: Projected "Opening day." There will be between 5-8 QB prospect reports loaded on "opening day". JANUARY: This is the month we concentrate on our QB research and reporting. All throughout the month we will add reports every day or two. We will do full scale scouting reports on 25+ QBs for the 2015 NFL Draft (ultimately, we will statistically grade approx. 50+ QB prospects and rank them)..
FEBRUARY: Once the NFL Combine takes place, we can start our statistical-based evaluations of all the other non-QB positions. We start with the biggest prospect names, and highest rated players nationally—and keep adding reports all throughout the month. MARCH: We continue to add full scouting reports on all positions, and update prior reports with the latest Pro Day workout data. We also begin producing a statistical ranking board of the top 20-30-40-50+ players at each position (see home page for position classifications). APRIL: We keep adding more scouting reports, and continue to update our ranking boards. MAY: Once the NFL Draft is complete we begin statistically grading the draft from an NFL standpoint, and then we start ranking players for Dynasty/Fantasy Football scouting purposes. We will also add a few more additional prospect reports post-draft--including a look at some of the bigger name prospects for the year. JUNE-AUGUST: Continued analysis of Dynasty/Fantasy Football ranking boards based on updated info from training camps and preseason games. SEPTEMBER-DECEMBER: CFM is mostly idle with all the reports filed from the 2012 season. All are available for your review any time as the NFL season unfolds. 100+ full prospect scouting reports across all positions. Over 20+ Dynasty Rookie Draft ranking reports (300+ rookies) – from the incoming draft class, to prior year re-ranks, including IDPs. A ‘Moneyball’ approach to scouting college talent for the NFL and CFL personnel departments, agents, serious/high stakes fantasy players, handicappers, sports card investors. Senior Bowl, East-West Shrine, NFLPA all-star week scouting and coverage as well as NFL Combine and NFL Draft coverage and commentary. Archive of 500+ reports, rankings, and analysis from 2012 to current year. Over 1.5M words of material archived. 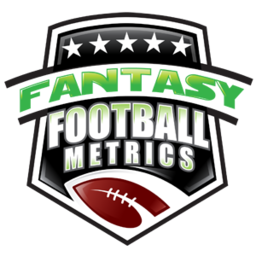 All-access to everything Fantasy Football Metrics from Week-1 through Week-17. Every Game Recap (only a few published each week for non-subscribers). Weekly Fantasy Football Scoring Projections (no more posting to the general public). Plenty of other surprise ‘Easter eggs’ week-to-week on Daily League deep-sleepers, wagers/office pool picks from the computer, more of our IDP work, new metrics, and article concepts we’re testing, and much more. Save 20% by buying FFM In Season and Dynasty Stash together! Enjoy the 2018 Stash at a SUPER LOW cost! Weekly tracking, ranking, commentary/strategy on 'stash' prospects (players likely available on waivers, players to stash towards the end of the season for the following season). MORE THAN 600 FANTASY FOOTBALL PLAYER PROFILES AND ANALYSIS, WITH TEAM SCHEDULES, PROJECTED POINTS PER GAME BY PLAYER, EXTENDED PLAYER DATA, AND MORE. Our Draft Guide is "Ever-Evolving data" for the entire preseason. It's not like a magazine written 30-60 days ago, with stale/out-of-date information by the time you get it. We update the Draft Guide's info as any/all player situations change, via trade, release, injury, training camp scouting we conduct, or info we hear from training camps sources, etc. almost daily before the preseason games, and then sometimes multiple times a day during the preseason game period. There are no silly testimonials on how everyone following the material, and every client we have, has won or "dominated'" every league they've ever been in. We are looking for an alternative statistical edge that is often against all conventional NFL-wisdom trying to push the odds more heavily in our favor. Our entire first wave of player projections and commentary in our Draft Guide is projected to be completed early June/for our opening day. The top 350+ player commentaries are in our first release along with our searchable, sortable, editable spreadsheet/cheat sheet views with over 600+ players projected for the upcoming season. Another 200+ player commentaries will be added throughout July, and more player commentaries in August added as we get news from training camps, preseason games, etc. Our Draft Guide is "Ever-Evolving data" for the entire preseason. It's not like a magazine written 30-60 days ago, with stale/out-of-date information by the time you get it. We update the Draft Guide's info as any/all player situations change, via trade, release, injury, training camp scouting we conduct, or info we hear from training camps sources, etc. We make changes and update almost daily before the preseason games, and then sometimes multiple times a day during the preseason game period.We'll post a list of what players have been updated for your convenience on our website, as these changes are made. Purchase now and have this unique Fantasy Football Guide within a few seconds of your purchase. You can access the current version of the draft guide and cheat sheet at any time, as many times as you want, and again every day as we update daily right up to opening day of the season. In the sample page we've listed examples from a prior draft guide page PDF. Our new draft guide format (starting 2018) will have more player data and all the commentary in a spreadsheet style page for easier access, search, sort, edit, download offline, etc. When you purchase our Draft Guide, you get our Fantasy Football Draft Cheat Sheet. FREE! Over 600+ Fantasy Football players listed by Rank per position, along with Team name, Projected Point Per Game, Bye Week Number, and ADP (Average Draft Position). Get the optimizer before it closes at the top of the year as it won't be back until August! FanDuel and Draft Kings Instant Lineup Optimizer based on FFM projections and the salary cap spend. ‘Lock in’ a player(s) you want to see in the lineup and the program instantly optimizes the rest of the positions/spend. ‘Lock out’ a player(s) you do not want considered, and the program will ignore them and optimize with the rest of the player options available. When our FFM projections change each day, the Optimizer will change with it and make the best/latest suggestions. Want to ‘stack’ from one team…you can click that option and the Optimizer will give you the best lineup surrounding your ‘stack’. Stacks of 3-4-5 players can be seen in an instant with the Optimizer suggesting the best stack for the spend. Every time you click an option (lock out a player, stack a team, etc. ), the Optimizer instantly produces the best lineup suggestion with those parameters for you to consider. Click a player’s name on the program, and all the options available at that position pop in order of the Optimizer’s best FFM values/spend. Also, ‘search’ for a player easily available to locate a specific player you’re wanting to look at/work with in the lineup. The early version of our annual draft guide is available approx. in mid-June. Our early version features 300+ top players projected non-PPR and PPR with 100-200 word commentary on each player. We then add another 200+ players with projections and commentary up to the July 4th weekend. By the preseason Hall of Fame game, over 600+ players and prospects (and DSTs and kickers) will be projected and have unique commentary. More than the information provided from the "More Info" buttons above? Join our mailing list for FREE content to test out the product.